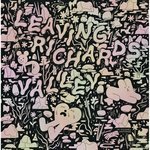 The most critically lauded graphic novel of the year has arrived! Chris Ware: "Some middle-aged colleagues and I believe literary comics fiction is possible without resorting to fantastical heroics, however, and the youngest and finest exemplar, 28-year-old Nick Drnaso, offers a new book to possibly top us all: Sabrina, about a missing woman, a video and the unspeakable possibilities of our contemporary mitigated reality." 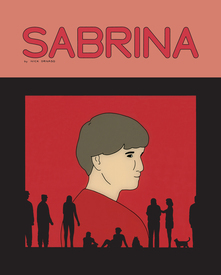 Zadie Smith: "Nick Drnaso's Sabrina is the best book – in any medium – I have read about our current moment. It is a masterpiece, beautifully written and drawn, possessing all the political power of polemic and yet simultaneously all the delicacy of truly great art. It scared me, I loved it." Adrian Tomine: "Nick Drnaso is one the most ambitious singular cartoonists to emerge in recent years, and his dedication to novelistic fiction is an inspiration. Incisive, chilling, and completely unpredictable, Sabrina demonstrates the inexplicable power of comics at their best." Jonathan Lethem: "Sabrina is startling. Drnaso's formal ingenuity and confidence is matched by the acuity and depth of the story's awareness of who and where we are right now." BACK IN PRINT AND BACK IN STOCK.